Although a little more challenging, it is possible to snag truck driving jobs with no experience as a new CDL driver. 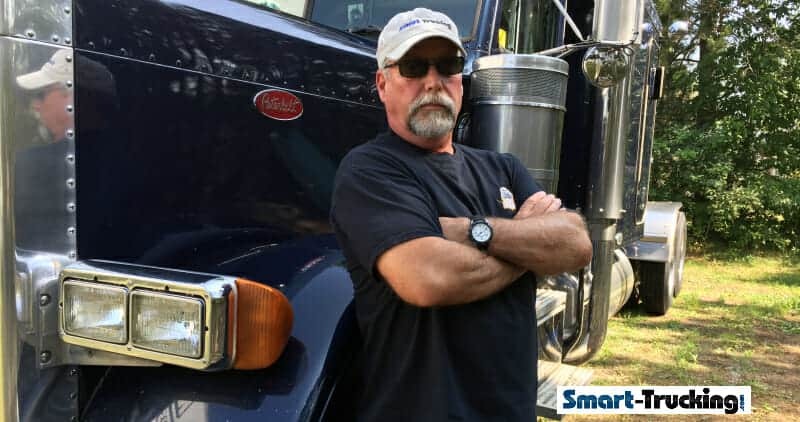 With the shortage of truck drivers, it’s nearly impossible NOT to be able to get a driving job, if you do the footwork needed and apply at a good number of trucking companies. 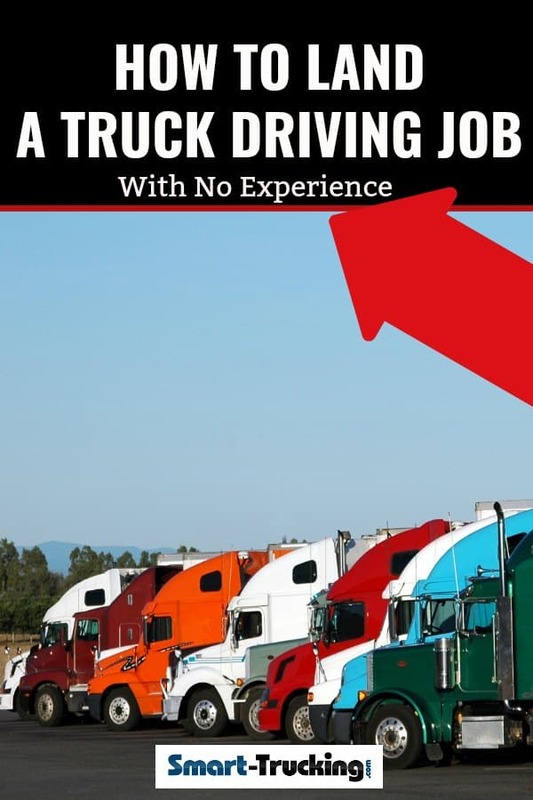 Is this what truck driving companies are telling you when you apply for a driving job? If you’re a newly licensed truck driver, do you constantly get this reply when you apply for trucking jobs? “No, we can’t hire you. We are are going to help you fix this. Here are 6 ways to get a driving job if you’re newly licensed commercial driver without experience and rack up some driving experience for your resume. Apply to LOTS of Carriers. The most important thing here to remember is to apply to as many trucking companies as you possible can. The more companies you apply to, the greater your chances of landing a driving job. Yep, the Mega Carriers. Although they may not be your first choice, you may need to seek out some of the larger trucking companies. You know the ones. The mega carriers. Seek Out Truck Driving Jobs, Driving Something Other Than a Tractor Trailer. There is another way to go about getting some driving experience, as a newly licensed CDL driver. There are always carriers that run trucks which are not tractor trailer units. They are often looking for drivers. Straight trucks, construction companies with dump trucks, townships with plow and gravel trucks, railroad companies with service trucks, lumber yards with delivery trucks. The list is endless if you really buckle down and look around. Your CDL or Class AZ license allows you to drive all of these trucks. They’re great jobs for gaining experience and seat time. As a bonus, these trucking jobs almost always pay better than the average OTR driving job, as they are paid hourly. Many of these jobs even come with a pension plan. A very nice perk indeed. It’s also interesting to note that many OTR trucking companies do value experience in one of these types of trucks and they recognize this driving experience because it is experience driving heavy commercial vehicles. The hiring trucking companies often don’t care that the truck was not a tractor trailer. They’re looking for experienced commercial drivers. If you’ve been driving a dump truck for example, for a period of time and have had no accidents, you’d be all set. This is a great way to gain experience and seat time, while at the same time bolstering your resume. You may also find that the benefits of better pay and being home every night will end up suiting your needs and may well be preferable to an OTR job. An Independent Broker/Owner Operator. You may be fortunate enough to find an independent owner operator who may be able to offer you a driving job. Apprenticeship Programs. Some trucking companies have apprenticeship programs for new drivers with a license. Larger companies such as Arnold Brothers and Bison have their own finishing schools, where they send new truck drivers to learn their way of driving. Taking What You Are Offered. You need to be prepared to take a driving job that isn’t exactly your dream job. Don’t be discouraged. Lack of driving experience is a barrier to getting a truck driving job, but it’s a wall that can be torn down. Click here to APPLY TO JOBS.